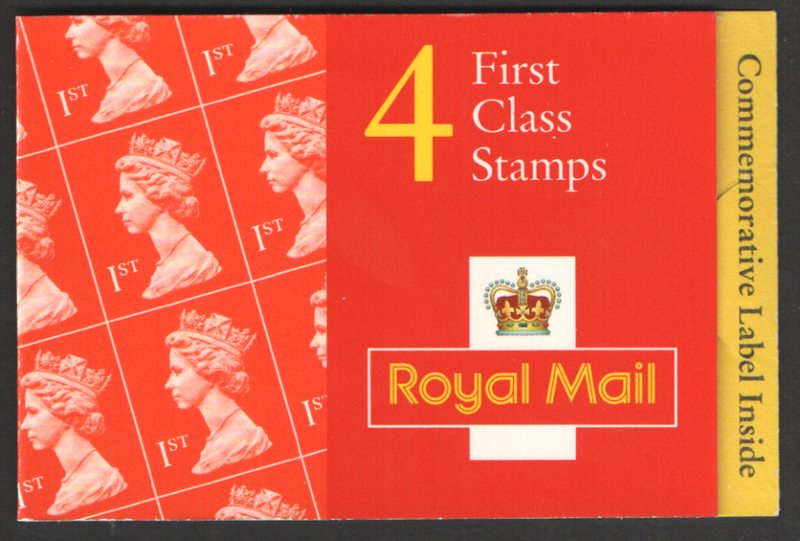 SG Number: HB13 MBPC Number: DB22(4) Walsall 4 x 1st Class Barcode Booklet Hong Kong label. Cylinder W49 W52 W61. 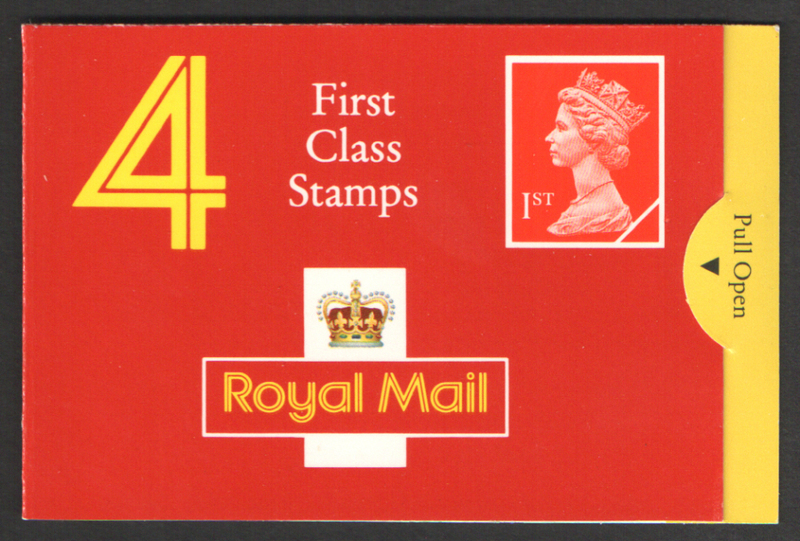 SG Number: HB9 MBPC Number: DB22(2) Walsall 4 x 1st Class Barcode Booklet R.J. Mitchell label. Cylinder W25 W33 W33. SG Number: HB16 MBPC Number: DB22(6) Walsall 4 x 1st Class unfolded pane. Prince of Wales 50th Birthday label. Cylinder W56 W59 W69. SG Number: HB9 MBPC Number: DB22(2) Walsall 4 x 1st Class unfolded pane. R.J. Mitchell label. Cylinder W25 W33 W33. SG Number: HB13 MBPC Number: DB22(4) Walsall 4 x 1st Class unfolded pane. Hong Kong label. Cylinder W49 W52 W61. 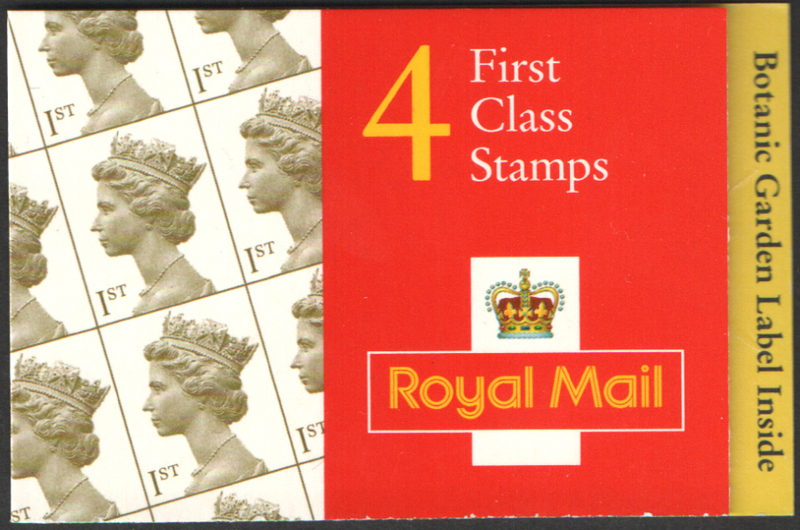 SG Number: HB16 MBPC Number: DB22(6) Walsall 4 x 1st Class Barcode Booklet Prince of Wales 50th Birthday label. Cylinder W56 W59 W69. 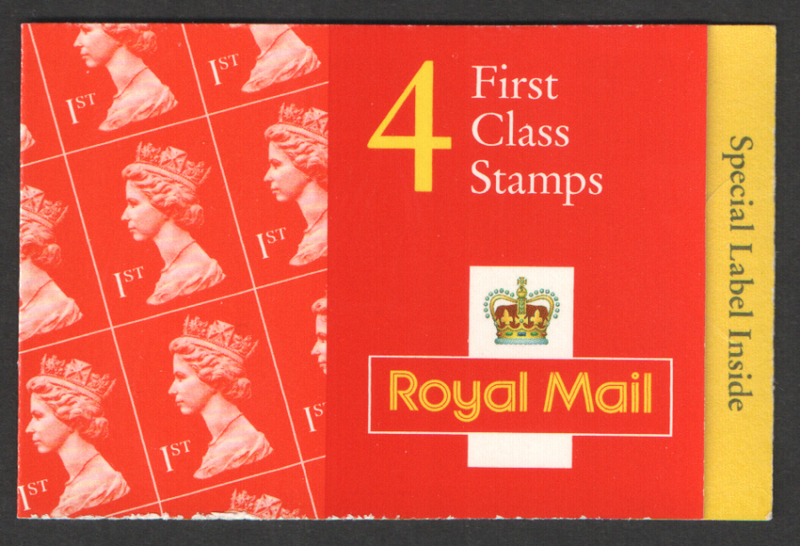 SG Number: HB19 MBPC Number: DB22(9) Walsall 4 x 1st Class Barcode Booklet Postman Pat label. Torn perfs at right. Cylinder W1 W1 W1 W1 W1 W1 (W1). 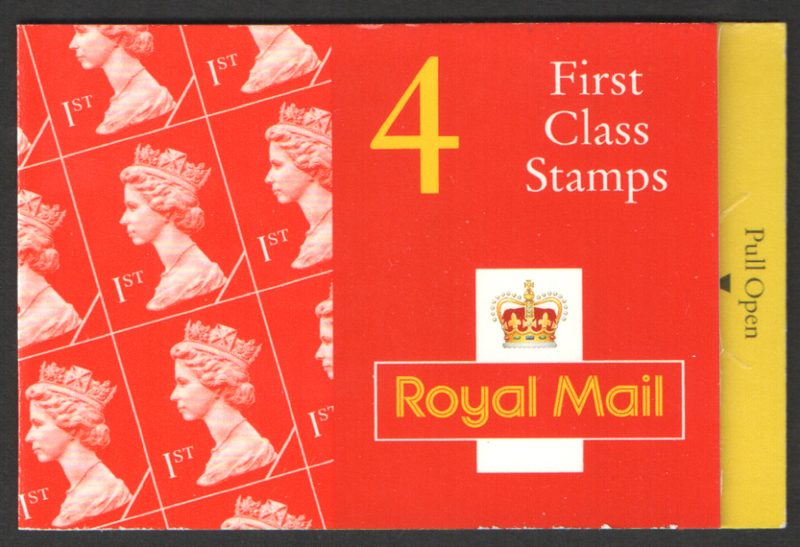 SG Number: HB9 MBPC Number: DB22(2) Walsall 4 x 1st Class Barcode Booklet R.J. Mitchell label. Cylinder W27 W35 W35. 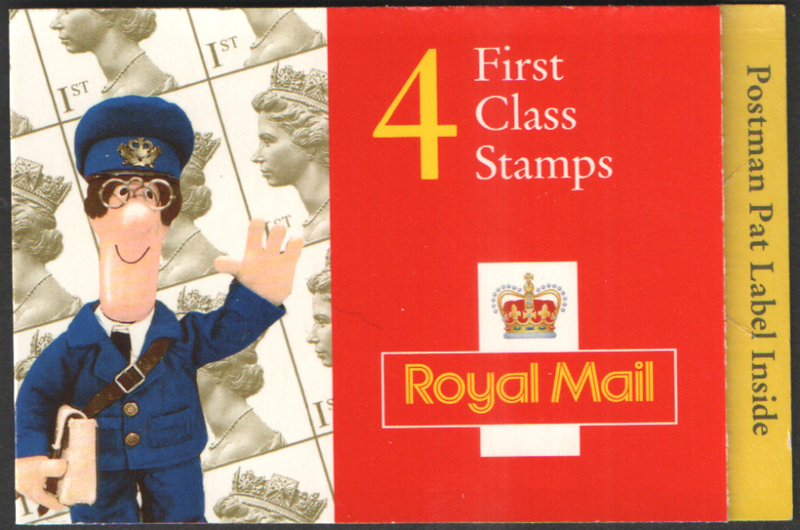 SG Number: HB19 MBPC Number: DB22(9) Walsall 4 x 1st Class Unfolded Pane Postman Pat label. Torn perfs at right. Cylinder W1 W1 W1 W1 W1 W1 (W1). HB7 / DB22(1) Cyl Q1 Bank of England 4 x 1st Class Unfolded Pane. Trimmed at base.